I grew up visiting Colorado with family and friends, falling down one mountain at a time. Kidding…sort of. I’d classify myself as an intermediate skier as I haven’t quite mastered the moguls just yet. Sometimes I choose the valleys, sometimes I choose the peaks. Ek. I’m almost there, or that’s what I keep telling my knees anyway. The state of CO holds a lot of fond memories for me. Fortunately, the Murphy clan decided on Breckenridge this year as our a family vacation of choice. Consider Breckenridge the chill cool older brother of the Vail-Breck-Keystone-Bachelor Gulch region. Laid back, casual, and super fun. Flying into Denver International, I had one of two choices. Okay, three choices. Rent a car, take a shuttle or get an uber (and only if you miss the shuttle cut-off times). If I’m traveling alone, I opt for the shuttle route so I don’t have to worry about those winding mountain roads. There are loads of shuttle options depending on which town you are headed, but I usually go with one of the three below and have had great experiences with each. Probably the most popular option for travelers (and well known for regular CO visitors), the Colorado Mountain Express (or CME) has an extensive schedule and travels to the major mountain hubs (Breckenridge, Keystone, Vail, Copper Mountain, Beaver Creek, Bachelor Gulch, Aspen, and Snowmass). Tickets are typically around $75 one way and the shuttles easily accommodate snow gear. My fam was happily introduced to Fast Tracks this trip (via a wedding discount as we were there for a friend’s gorgeous ceremony). Pleasantly surprised by how personable the staff was, it was all around an easy experience. The shuttles are a bit smaller (than CME), but still clean and not too crowded. Fast Tracks shuttled from the airport go to Breckenridge, Keystone, Copper Mountain, Frisco, and Dillon. However, they offer resort to resort shuttles between Vail, Keystone, Beaver Creek, Copper Mountain, and Breckenridge. The schedules rival CME times with shuttles leaving about every hour between 6am and 9:30pm. Many larger mountain resorts have shuttles available to schedule ahead of time, so be certain to check with your concierge for options. To preface, Breckenridge is not Vail, Aspen, or Beaver Creek. You won’t find a Ritz or Four Seasons luxury estate; however, if you love small mountain town charm like I do, then you won’t mind one bit. Breckenridge is a ski town for the adventure seekers and lovers of quaint quiet cottage-lined streets. Breckenridge has a couple of good resorts, but I would suggest looking into a home or condo rental through VRBO. Personally, I love having my own space in Breckenridge since it’s such an active town. I’m usually away strolling through town, hiking, or skiing during the day, so a simple rental location works perfectly. This is especially convenient if you’re traveling with a large group as big cabins usually house multiple beds and baths, such as ours from the photo above! 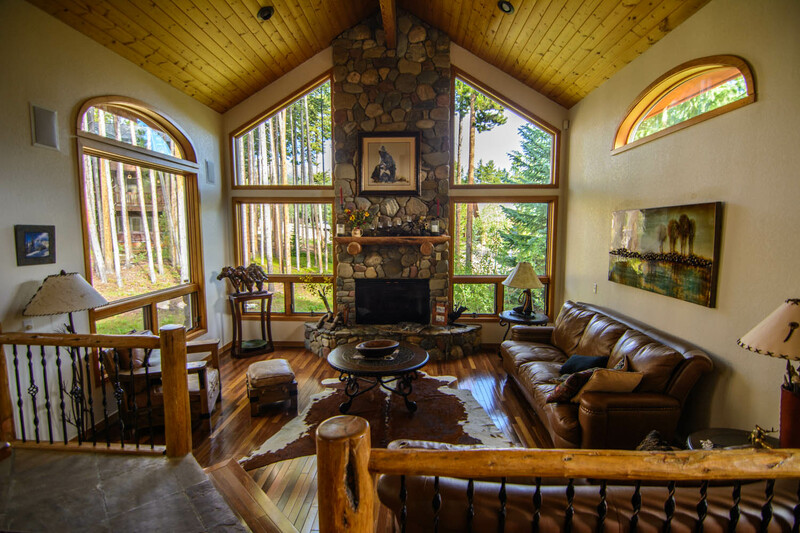 One Ski Hill Place Breckenridge is a ski-in/ski-out property situated on Peak 8. Incredibly convenient for those hitting the slopes, the resort is also friendly towards those not slope-savvy. The property includes two bowling lanes, a billiards room, jacuzzi’s a-plenty, and a fitness center/spa. Score. In order to get to town, you can hop right on the gondola for a trip down the hill. Another convenient ski-in/ski-out resort, Mountain Thunder Lodge is a great location for those who enjoy a quiet walk into town during primetime. The resort provides shuttles to town and lifts, making it easy to go anywhere in Breckenridge without the need for a rental car. During the summer months, Mountain Thunder Lodge also offers bike rentals and easy access to hiking trails. 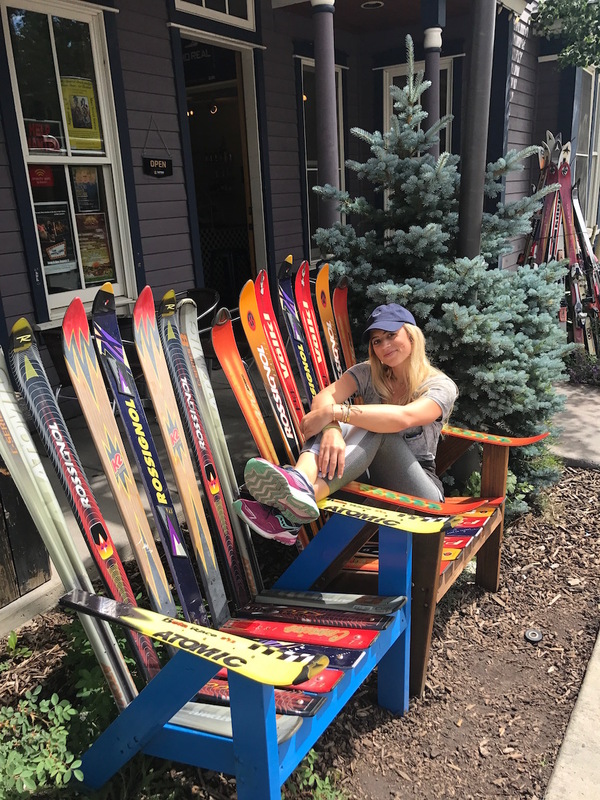 What to Do in Breckenridge, Summer Ed. 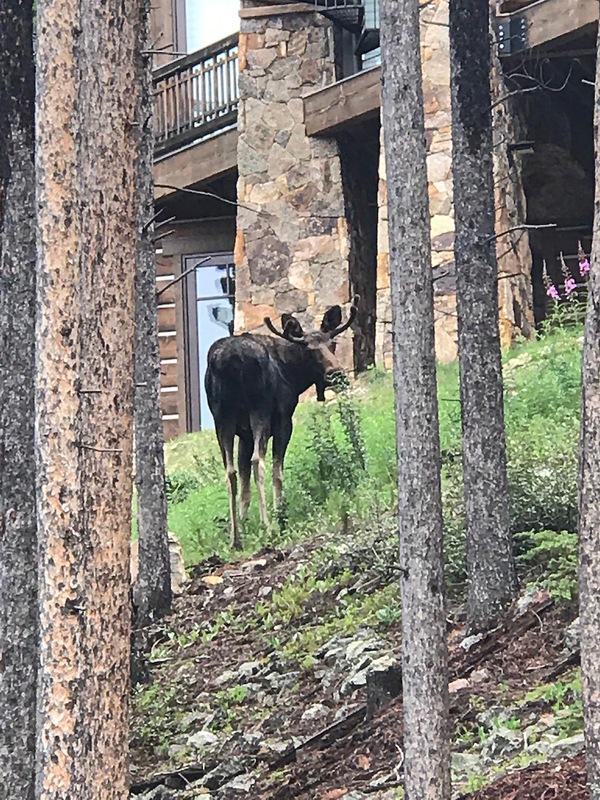 Though most travelers would probably consider Breckenridge a winter ski trip destination, I’m here to tell you I might like it better in the summer. GASP. 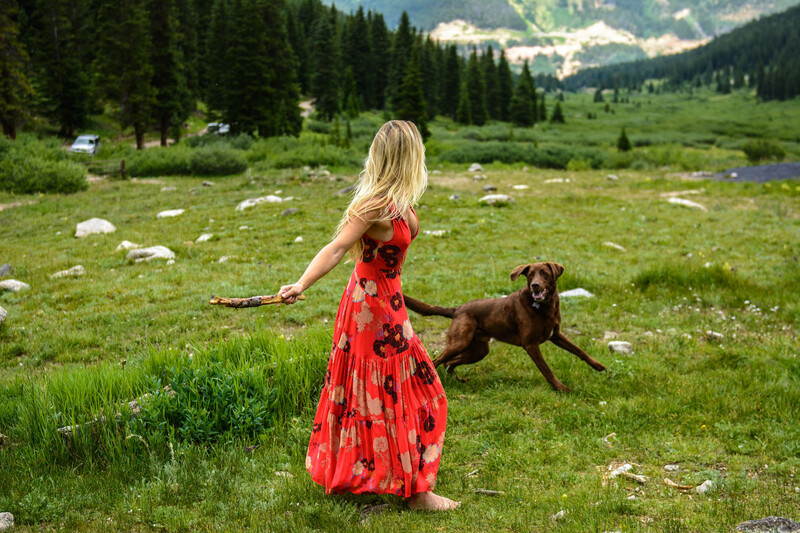 With the abundance of wildflowers, hiking trails, and nearby rivers, Breckenridge is an active vacationer’s dream. It’s no secret that hiking is a passion of mine, so I relished the opportunity to dust off my hiking boots. Mayflower Gulch Trail: About a 30 minute drive from Breckenridge, the Mayflower Gulch Trail is a super picturesque beauty of a hike situated near Copper Mountain. A little over six miles, the hike can take a few hours, especially if you’re into photography like moi. It honestly isn’t too difficult for beginners, but keep in mind that the altitude is killer in Breckenridge. The trails wind to Sound of Music style scenery like fields of wildflowers and old dilapidated miner cabins that almost give off a gothic vibe. Meta Yoga Studio is located in the heart of downtown Breckenridge near shops and restaurants. Meta offers a variety of classes, from power flow to vinyasa to Stand Up Paddle yoga during the summer. The options are endless, and the studio also hosts off-site classes in nearby parks and resorts. Alpine Sports is the place to go during the summer to rent Stand Up Paddle Boards to cruise around on nearby Maggie Pond. The shop also offers demos every Sunday if you’re new to the sport, as well as SUP Yoga every Tuesday through August. Free activity FTW! Cheap thrills get me every time, what can I say? On our last morning, we walked from our rental to the BreckConnect Gondola off Main Street for a joy ride. During ski season, visitors can access the gondola from downtown and get to the base of Peak 8, Peak 7 and Shock Hill in a few short minutes. 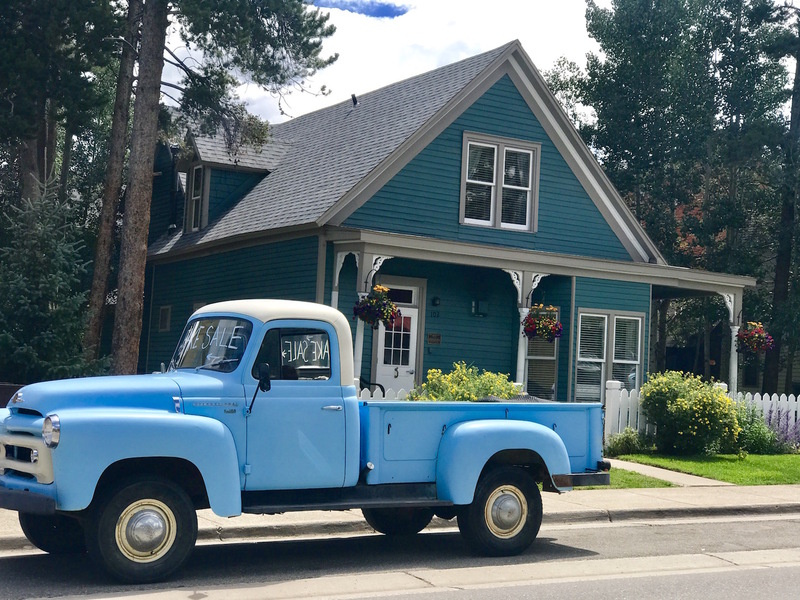 Breckenridge’s historic Main Street is as adorable as it is fun. Featuring buildings that date back close to 100 years old, the historic area is home to many great restaurants, bars, and local shops. From charming book stores to artisan gift shops that sit alongside gorgeous gardens and parks, Main Street is a must see during the summer. Old Man Berkin Used Bookstore – Ya don’t come across these too often, so when ya do, creaking open slightly worn pages of old tales will be worth your while. I could’ve stayed in this bookstore for hours but opted for a story about a plane crash survivor pretty quickly. It’s called Crazy for the Storm, and I started reading it while on a plane…oops. 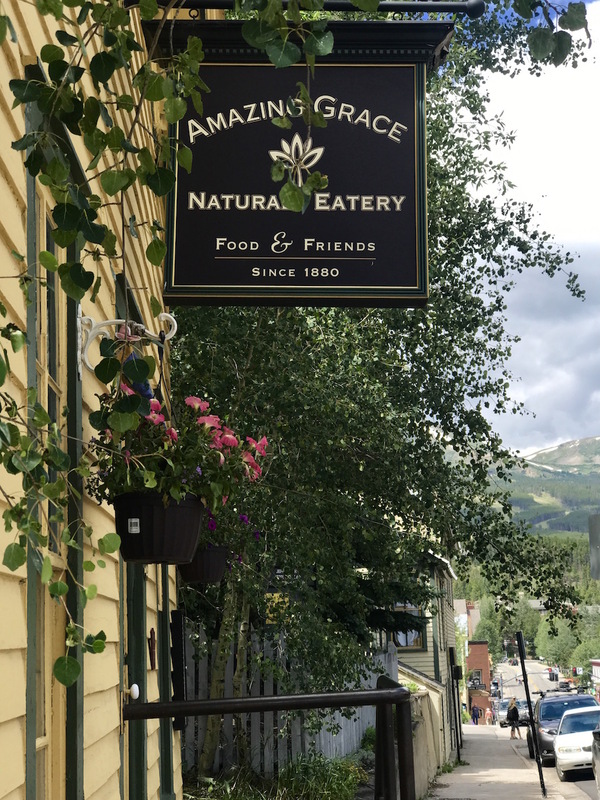 Amazing Grace: Another quaint eatery, Amazing Grace is a go-to lunch spot operated out of a tiny yellow house. The menu is all natural organic dishes, specializing in breakfast and lunch. Their sandwiches and salads are SO GOOD. I could eat there for lunch every day, honestly. Heads up, there tends to be a bit of a wait, but trust, it’s worth it. And get the Opus for brekkie. You won’t regret it. Mountain Top Cookie Shop: Oh Mountain Top Cookie Shop, how do I put into words how much I love you? For starters, I ate one (who are we kidding, two) of your cookies every day I was in town. 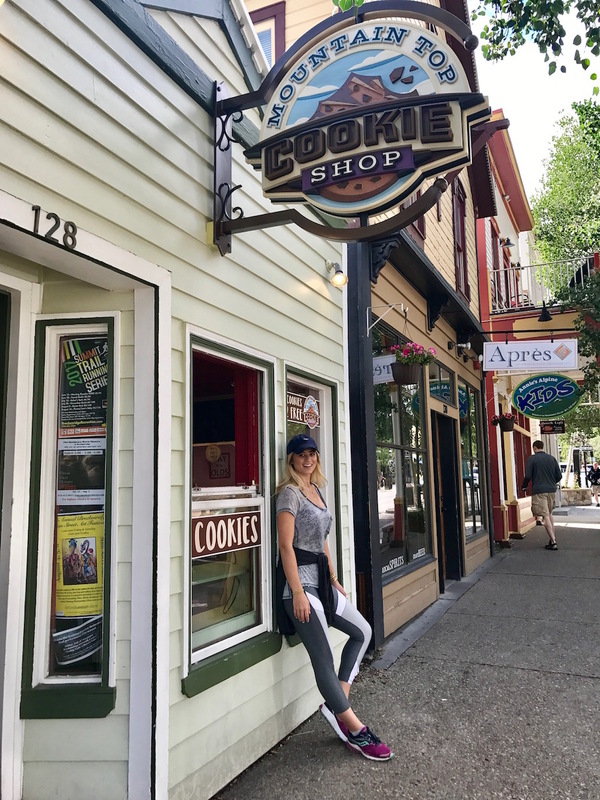 You cannot walk down Main Street and pass this shop without smelling the most amazing cookie aroma you’ll ever experience. Go inside. Ogle at the LITERAL mountains of cookies behind the counter. Can’t choose just one (because who can decide between peanut butter pretzel, cookie dough delight, or a birthday cake cookie sandwich) so go ahead and get a sampling, or go back the next night… and the next. Hearthstone Restaurant: We popped into this refurbished old Victorian house the first night in town and were not disappointed. The menu features seasonal and local dishes (i.e. their famous elk), and the staff is super knowledgable and attentive. Some may find the decor outdated, but I lived for it. Vintage classic wallpaper, white trimming, the works. My favorite dish? The charred octopus appetizer. Incredible. 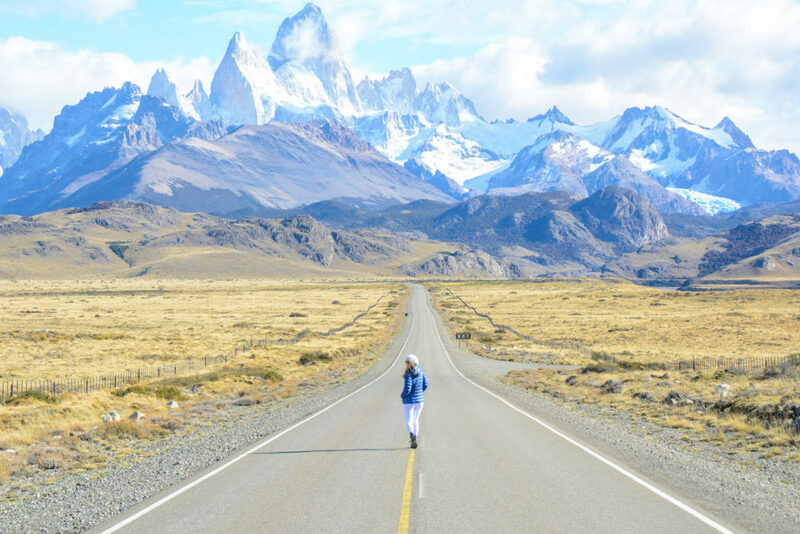 It can take a solid couple of days to acclimate to the altitude, with side effects including headaches, shortness of breath, and dehydration. Because you’re high up in the mountains with thinner air (i.e. a lack of oxygen), your body can become rapidly dehydrated if you aren’t careful. Pro tip: Start hydrating before you even arrive in Breckenridge (and any other mountain town) to try and avoid some dehydration. Bring lots of Advil. Maybe grab an aisle seat on the airplane for frequent bathrooms breaks…cause you’ll need ’em! Be wary of how much alcohol you’re drinking, and chug glasses of water between drinks. Buy these nifty portable oxygen inhalers. Maybe take a stroll one of the local dispensaries for a little cannabis therapy… 😉 Yes, it’s legal here. In the event you just can’t shake altitude sickness, head to one of the two spots below to get your groove back. Harmony Spa: Located right off Main Street, Harmony offers massage therapy, facials, aromatherapy, and waxing. I would suggest arriving a half hour early to take a breather (literally.) in the oxygen room, where guests can relax in massage chairs while inhaling pure oxygen. The combo of oxygen therapy and deep tissue massage worked WONDERS for my fatigue. Vida Flo: Specializing in vitamin IVs, oxygen therapy, B-12 shots, and everything rehydration, it’s definitely worth a trip to Vida Flo in order to bounce back from altitude sickness (or a hangover, tbh). Getting an influx of vitamins and fluids straight to the bloodstream is incredibly rejuvenating, and you won’t have to wait around to feel it working. That about sums up my Breckenridge family fun time – hiking, spa visits, and cookies. What’s not to love? Aw thanks! So glad you found it helpful. Have a great trip! I recently moved to Colorado and I’m thinking about spending a weekend in breck in a couple of weeks!!! I hope the wildflowers are still out! Love these “what to do” posts!! You’re living the dream! I love everything about CO. Have a blast in Breck! Love this post! Where are your dark grey/light grey/white leggings from? Just added links to where you can find them! Great post Lesley! I’m a fellow blogger and I’ve been traveling to Breck with my family for years. We have a vacation home in the nearby town of Frisco. Next time you go…eat at The Motherloaded in downtown Breck and visit the Butterhorn Bakery in downtown Frisco. It’s 10 minutes from Breck and they’ve been ranked the best bakery in Colorado. The cookies are on another level. Trust me on that. Breckenridge is a dream during the summer! It’s a nice break from the heat and humidity of Arkansas! I’ve been fortunate enough to visit Breck numerous times over the last few years and am leaving to go there tomorrow. Here are a few of my fave restaurants: Park & Main Quality Foods, Relish, The Butterhorn in Frisco (their biscuits and gravy and bloody Mary’s….OMG!!!! ), and the Breck Brewery (beer and cheese soup)! A jeep ride up Boreas Pass is also amazing, especially during the fall when the leaves are changing. Also, for lodging, the Cedars are ski-in, ski-out townhomes located right next to the Quick Silver lift. They are also walking distance to Main Street! I’ll be there next week; thank you for the tips! Excited to check some of these places out! P.s. Been following since your Bach days! Love your blog. Wasn’t busy at all when I was there! Hope y’all had a blast! Where is this red dress from!? Love it! The Road Les Traveled Turns 3!